When Calls the Heart fans have had a weight lifted from their shoulders this weekend when Hallmark announced that the show would not be canceled after losing Lori Loughlin. Although there is no set date that the show will be back on the air, the message from the show’s producers is very uplifting after fans were worrying about the fate of the show all week. The producer’s statement posted on social media this weekend thanks Hearties for their patience and support this week while Hallmark was preoccupied with Lori Loughlin’s arrest. The producer’s announcement states that the show is on a hiatus while they decide what to do with the remainder of season six and seasons to come. The process of retooling the rest of the episodes in season six has already begun, raising hopes that the show will return to television soon. 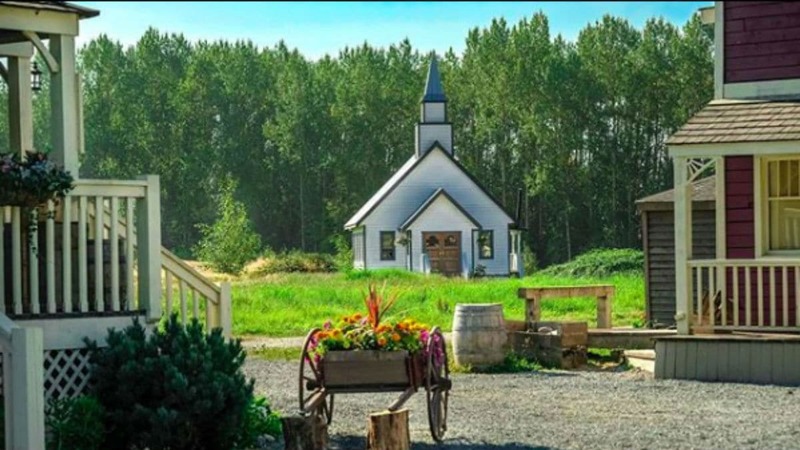 The producers end the statement by thanking Hearties for all of their continued support, including the creation of the hashtag #Hearties4S6, where fans showed their staunch support for the rest of season six. It looks like the impact of the fans is what’s really keeping the show going despite the issues brought on by Loughlin’s scandal. Fans are adamant that the show continues, with or without Abigail. Although many fans are sad to see Loughlin and possibly even Abigail leave Hope Valley, they would rather keep the show going than to cancel it over this scandal. Now that fans know for sure that When Calls the Heart isn’t canceled, many are wondering the fate of Abigail Stanton. Since Loughlin is not continuing the role of Abigail, there’s a lot of speculation going around. Many fans believe that they will have Abigail leave Hope Valley and then return later- either back as Lori Loughlin once the scandal passes or as someone else. Others are thinking that they may just replace Loughlin and move on with the series. There are many fans who believe Abigail will be leaving the show and not returning. Although there’s a lot of speculation to be done, many fans aren’t sure of her fate. Whether Abigail will simply leave Hope Valley and move somewhere else, or if she will end with a more tragic fate like Jack, fans are prepared to say goodbye to Abigail for good. Since the show is on hiatus for an undetermined length of time, it will take some time for fans to learn what will be happening with Abigail’s character. Keep an eye on the Hallmark Channel for updates about Hope Valley.